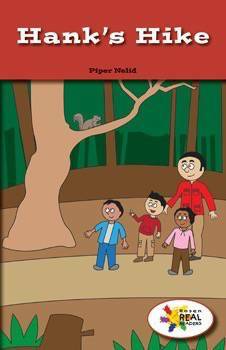 In this third person narrative Hank hikes on a nature trail with his class. The bright illustrations and easy-to-comprehend text will help readers follow along as the members of the class take note of the many living things who inhabit the forest. This fiction title is paired with the nonfiction title The Big Hill.